Mattress “date of manufacture” on the Law Label. Home → Important Blogs → Mattress “date of manufacture” on the Law Label. 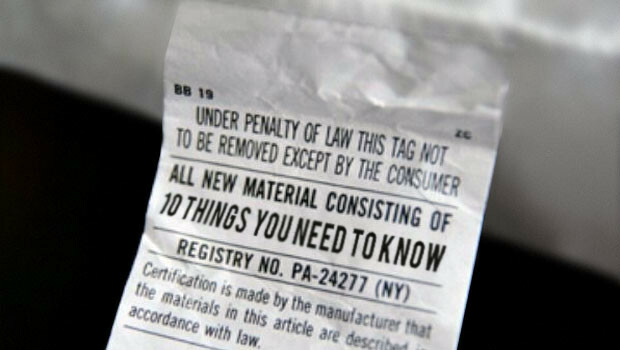 Someone told me that the law label that comes on the mattress with a date of mfg. means that the ticking was made on that date. The mattress was made closer to the delivery date. Do you think this is so? The difference in time may be as different as a day or two, but could very well be the same day. You have hit on a subject that is so minute in it’s importance, that you could only have heard about it from a mattress salesman. They love to make up these kinds of nonsensical stories to mask the fact that they know very little about their products. What’s inside the mattress, and how those components work or what they mean in relation to filling your needs, is what’s important. You are spending too much time on meaningless details. I know that it’s “too much time” because you have spent THIS much time. Keep reading the blog posts for information that will actually help you make an informed decision about what is, “a most important purchase”.